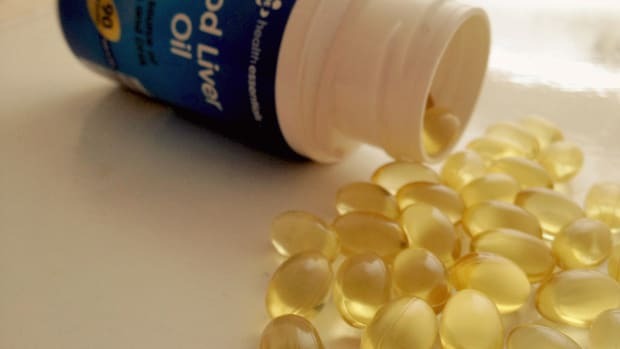 Remember how I told you, back in 2010, to go buy some cod liver oil for its skin—and in particular, acne—benefits? Well, scratch that. I&apos;ve been taking a new supplement for the better part of this year, and it&apos;s time I gave you an update. 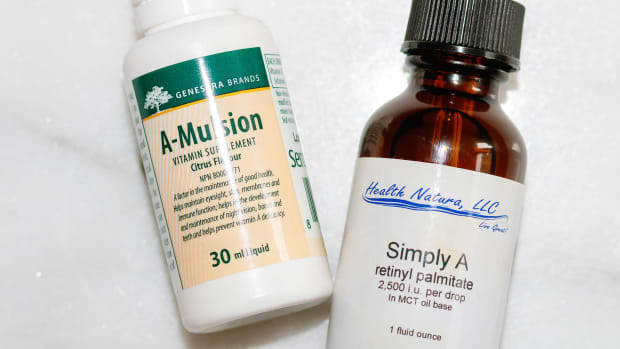 Just like the cod liver oil, it&apos;s got the vitamin A that works so well to prevent blemishes and keep skin looking young, but none of the other questionable ingredients (which I&apos;ll tell you about in a second). 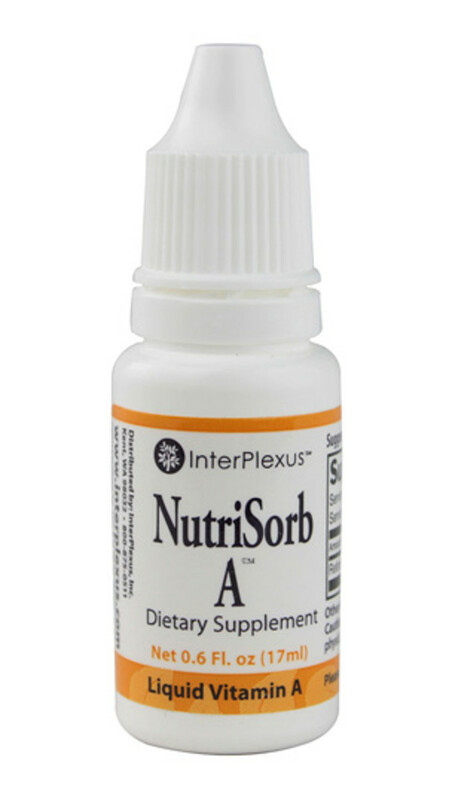 InterPlexus NutriSorb A Liquid Vitamin A, at Amazon.com and Vitacost. It&apos;s required for the normal functioning of the immune and reproductive systems. It keeps your eyes healthy and may reduce your chances of experiencing macular degeneration, night blindness and other visual disturbances. It&apos;s a critical nutrient for maintaining healthy bones, teeth, blood and our genetic material, ribonucleic acid (RNA). It may help restore a healthy libido. It opposes estrogen (the vast majority of us are highly estrogen dominant) and promotes progesterone synthesis. It helps clear skin conditions such as acne, eczema, chapped lips and dandruff. Obviously, the last few bits are what we&apos;re most interested in, but the point is that it&apos;s all connected. If your skin troubles are the result of a vitamin A deficiency (and they often are), by correcting that you&apos;re also getting healthier on the inside, too. I know what you&apos;re thinking. "Why can&apos;t I just load up on food sources like these to cure my acne?" 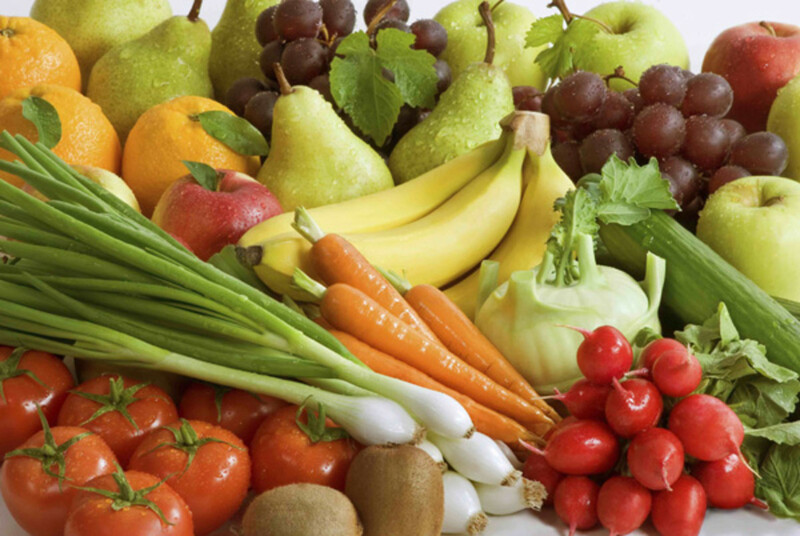 Provitamin A: This is a precursor of vitamin A and is found in colourful fruits and veggies like carrots, red and yellow peppers, apricots, squash and leafy greens. 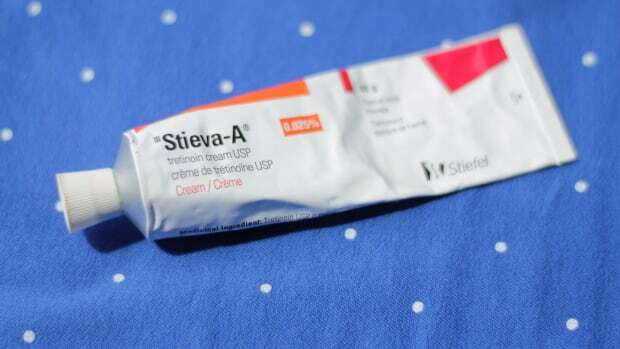 Provitamin A has to be converted into retinol, the form of vitamin A our bodies can use, in our intestinal tracts... but shockingly, a study found that almost 50 percent of women have trouble converting it. Plus, conditions such as hypothyroidism (which often goes undetected and ironically, can be triggered by too much carotene), impaired liver detox pathways, inflammation and GI issues can further compromise the conversion process. 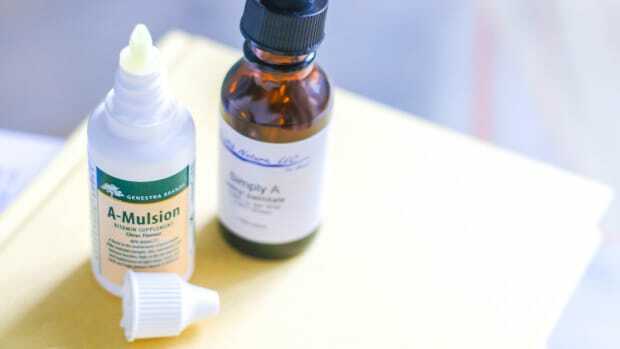 Retinoid acid: This is the other form of vitamin A, which is ready to be used by our bodies. Food-wise, it&apos;s only found in liver, egg yolks, cream and butter. 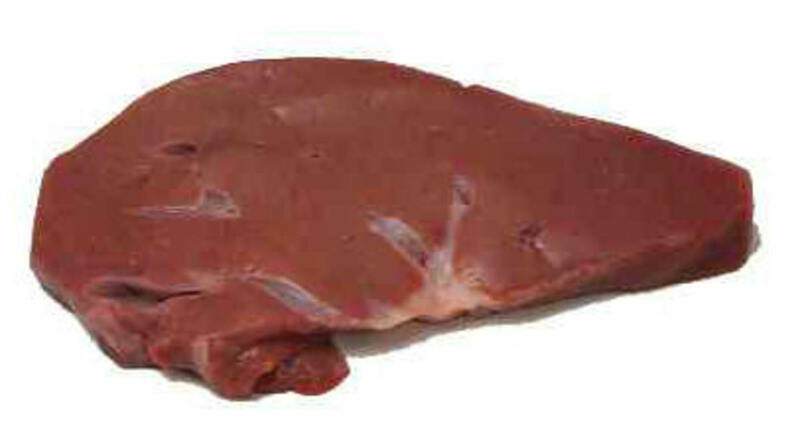 Liver is actually the highest and best source, at 22,175 IU per serving compared to 260 IU in one egg. Many people actually clear their acne just from having a serving of liver once or twice a week—but I totally understand if the idea of that turns your stomach. That&apos;s why the Nutrisorb A is a great stand-in. The ingredients are water, glycerin and retinol in the form of retinol palmitate, which is derived from halibut liver oil. Each tiny bottle (it&apos;s about the same size as a bottle of Ddrops, if you&apos;ve tried those) is filled with clear liquid that dispenses by the drop. You can take it either orally or topically. Oral: You can put it in water or juice and drink it—it really doesn&apos;t have much of a taste at all, and especially not in the low quantities we&apos;re talking about using. This way is more economical, because you&apos;ll use less of it, but you need to be more careful about dosing as retinol in excessive quantities can block thyroid production. Actually, let&apos;s talk a bit more about dosing, shall we? One drop of Nutrisorb A contains 2,500 IU of retinol and is also their recommended daily "serving" size. 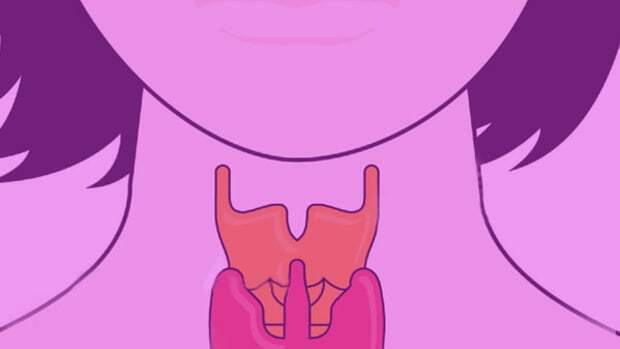 According to Dr. Ray Peat: "The average person is likely to be hypothyroid, and to need only 5,000 units per day." Most likely, you will need to play around with dosing until you find what works for you. Too little vitamin A and you won&apos;t correct your skin issues, but too much and it can suppress thyroid—so you have to find a balance. In general, the higher your metabolism (thyroid function), the higher your nutritional and therefore vitamin A requirements will be. Stress and exposure to light, either outdoors or bright indoor light, can also increase your need for vitamin A. 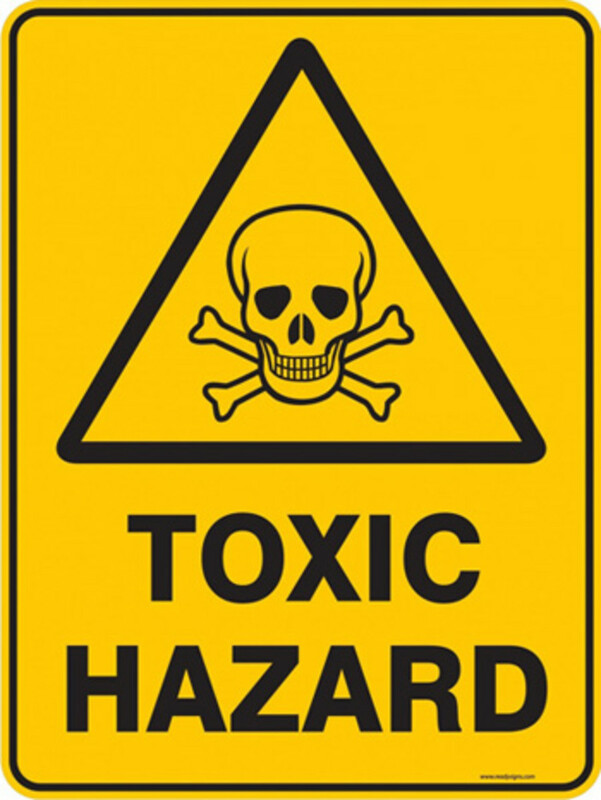 "The toxic effects of extremely big doses, such as 500,000 to a million IU, seem to be from either oxidative processes (rancidity) that are prevented by adequate vitamin E, or by antithyroid effects. I found that when my need for vitamin A began to decrease I tended to accumulate carotene in my calluses; that happens when the thyroid function is lower, reducing the need for vitamin A... The calluses on your palms or soles should serve as an indicator of when your tissues are saturated with vitamin A. About 100 IU of vitamin E would help to keep the vitamin A from being wasted by oxidation, and possibly could reduce your requirement for it." Obviously this is not medical advice, but I believe the dangers of toxicity are quite low in the doses we&apos;re talking about (5,000 IU daily). As Dr. Peat says, if you&apos;re very concerned, take a vitamin E supplement as well and monitor the palms of your hands for signs of carotene accumulation (an orange colour). What about other vitamin A supplements? 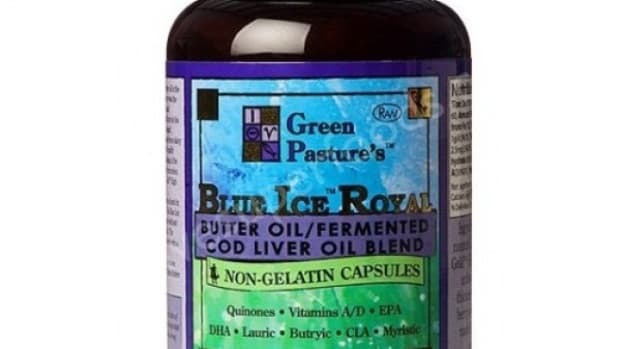 I no longer recommend cod liver oil, or any other forms of fish oil or vitamin A supplementation aside from the Nutrisorb A. That&apos;s because they&apos;re all high in polyunsaturated fatty acids (PUFAs), which oxidize quickly in our bodies and—no joke—contribute to everything from cancer to hormonal imbalances to inflammation to accelerated aging. I avoid them at all costs. (But that&apos;s probably another article for another day.) The Nutrisorb A not only contains zero PUFAs, but because it&apos;s a micellized, water-based formulation, it&apos;s also made without the harsh chemicals and detergents that are used in the emulsification process for other vitamin A supplements. You can find InterPlexus Nutrisorb A at Amazon.com and Vitacost. Have you tried Nutrisorb A? Has vitamin A from other sources made a difference for your skin? What else has helped you deal with acne, eczema or dandruff?